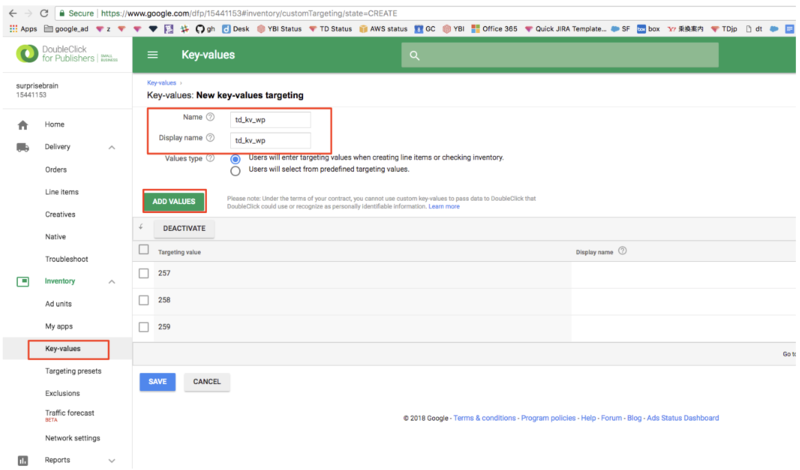 You can integrate Treasure Data’s Profiles API with Google DFP (DoubleClick for Publishers). This integration allows advertisers to put ads on the segments you have defined in Treasure Data. In your web browser, navigate to Google DFP. Navigate to Inventory > Key-values. Complete the Name and Display name fields. List all Treasure Data segment IDs, line-by-line. For example, 257, 258, 259. Optionally, add Display name to specific segment IDs. Select Inventory > Ad units. Complete the Code and Name fields. Select New Order to create a new order. Edit the fields. For example, Name, Advertiser, Name, Start time, End time, Quantity, and Rate. 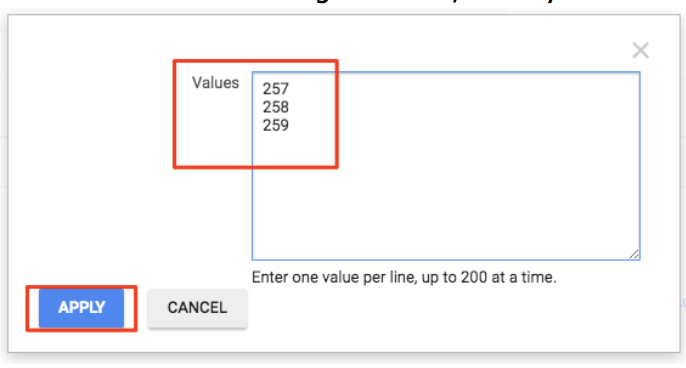 Scroll down to locate the Key-values section. Specify the Key-value that you created. For example, td_kv_wp. Select the advertisement unit that you created. For example, td-dfp-test-ad. Navigate to Delivery > Line Items, to register the creatives. Select the creative type you’d like to create. For example, an image creative. Specify the Name and Destination. Upload an image file for the creative. Specify a Destination. For example, Click-through URL and https://www.treasuredata.com/. Navigate to Inventory > Ad units. Select the advertising units that you created. For example, td-dfp-test-ad<. Select Google Publisher Tag as the Tag Type. 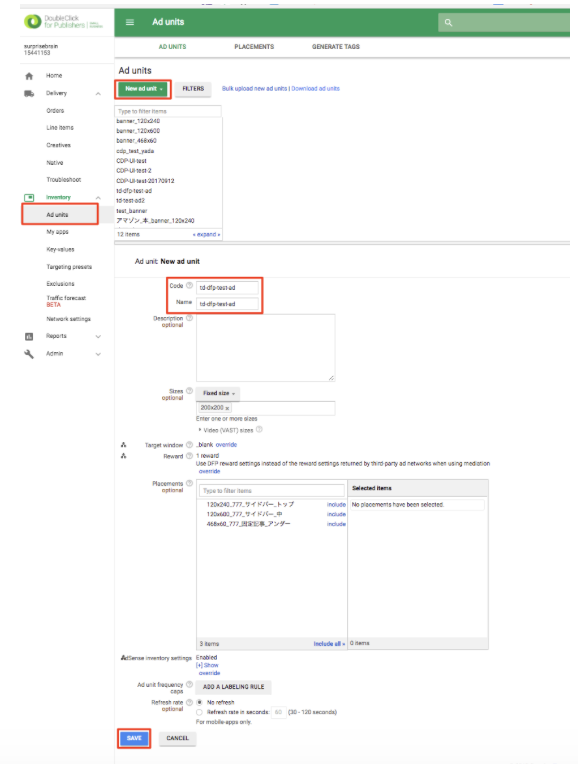 Call googletag.pubads().setTargeting() function to pass Treasure Data’s segment IDs to Google DFP. To test, access the HTML above, and review the result.